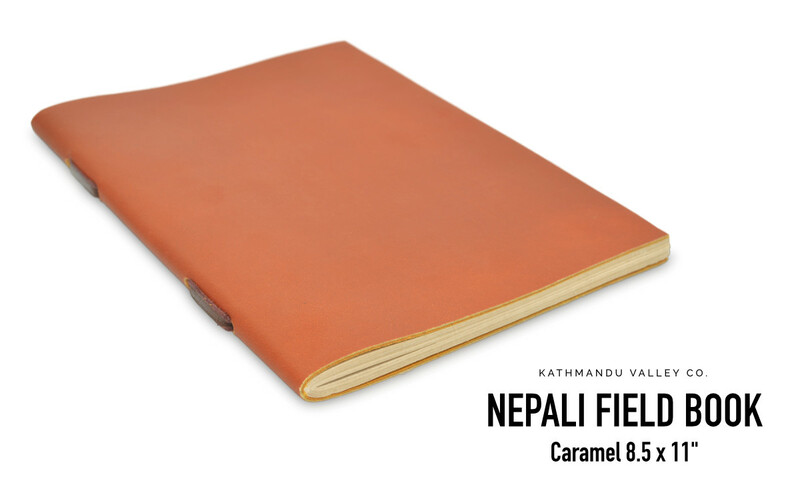 Nepali Field Book Handmade Leather Slim Notebook | Kathmandu Valley Co. 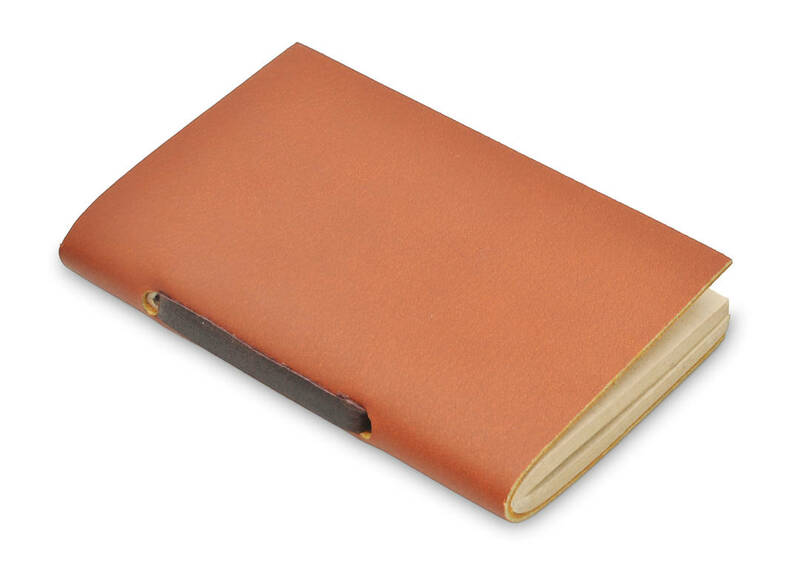 Following a 1,000-year-old tradition in paper making by hand, our Natural Lokta Paper is the perfect alternative to regular paper, providing a one-of-a-kind feel for each handmade journal. The paper is made by spreading pulp from the Nepali Lokta bush over boxed screens. The hardy paper forms as it dries in the Himalayan sun. 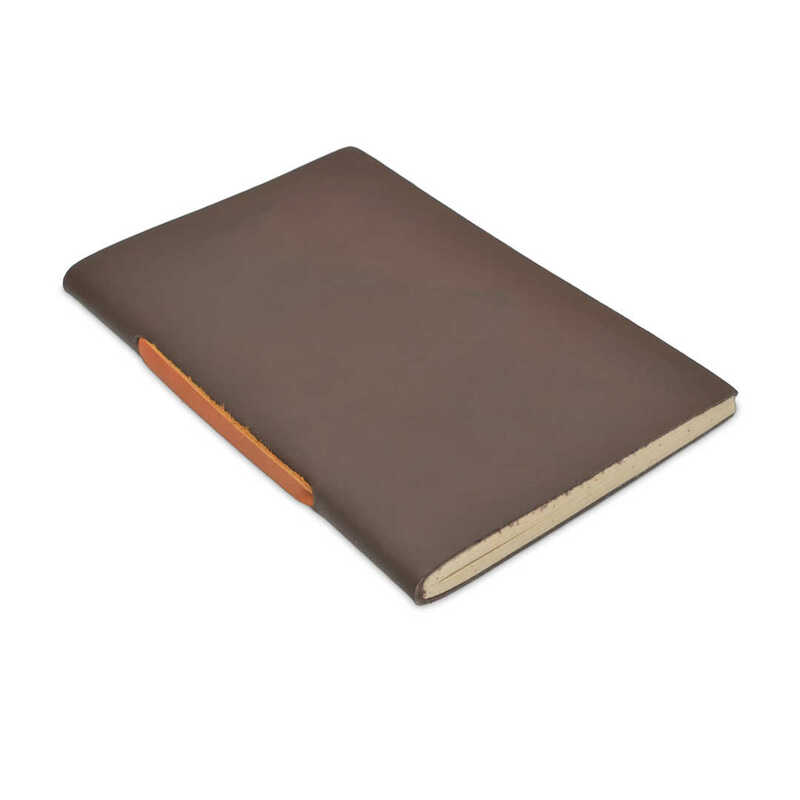 The leather is vegetable tanned using black walnut husks and mimosa bark. 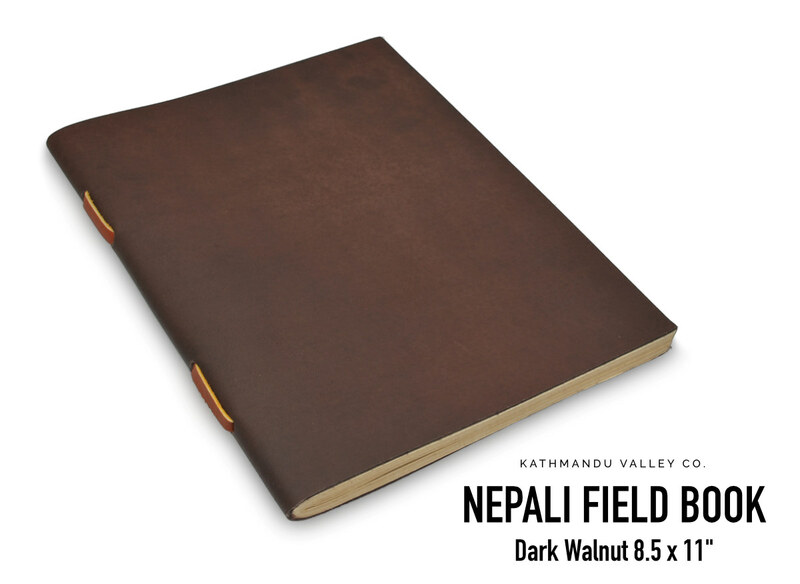 The slim form factor of the Nepali Field Book makes it a great companion for work at home or in the field. Each size is offered wiht a choice of Dark Walnut or Caramel Colors. 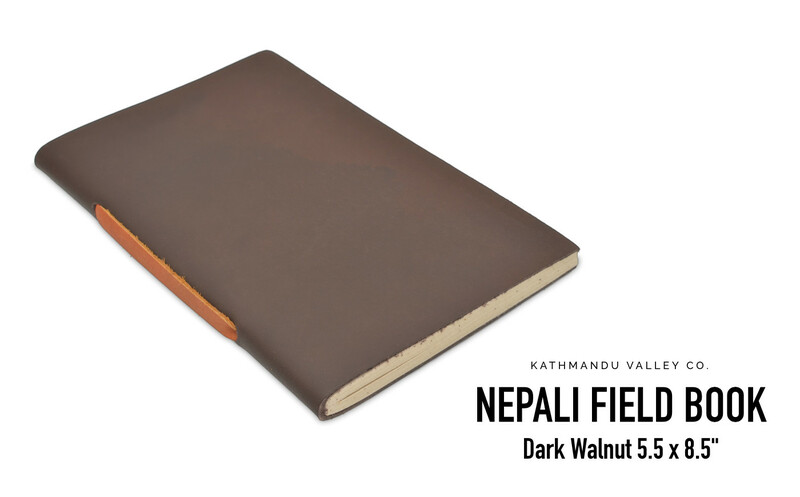 Lokta paper makes its way from the rural Nepali mountain villages to Kathmandu where it is hand-sewn into our journals. 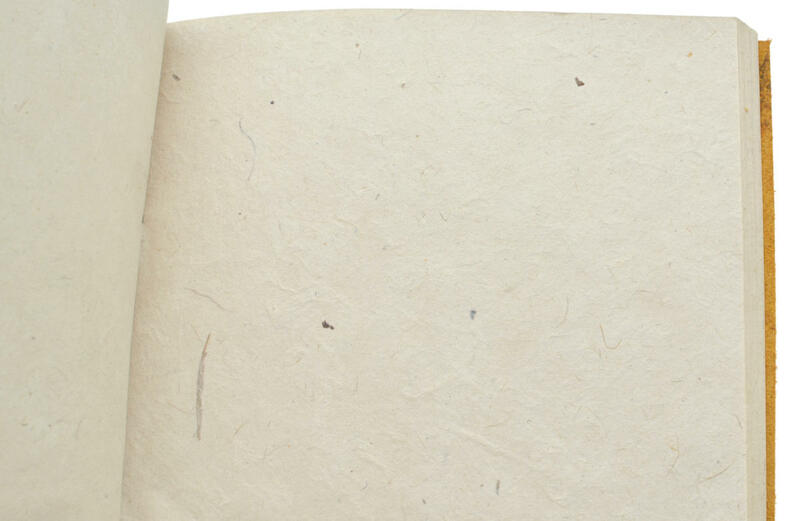 Each page contains natural flecks and texture unique to the art of hand-crafted Lokta paper. Writing on Lokta paper is almost like stepping back in time and handling an important document. Each Field book has 48 clean-cut pages (96 Front/Back) perfect for flipping through to find the right spot to capture a notation. Modern papers are bleached to gain greater brigtness, our 100% Lokta paper is bleach free and acid free. The paper is made following the 1,000-year-old tradition. 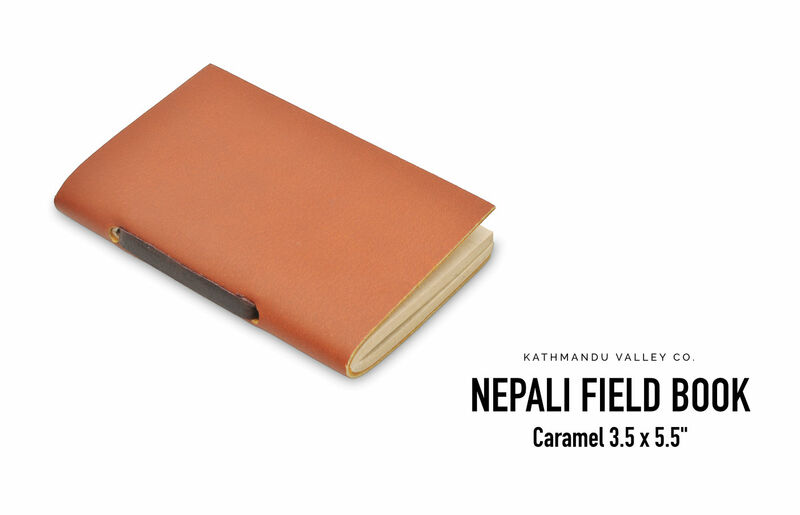 Include the Nepali Field Book vintage leather journal in your next adventure.